Special Price $56.10 Originally $66.00 $9.90 Savings! The days of straining to reach your ceiling fan's pull chain are over with this Savoy House handheld fan light control. This 3-speed control can turn the lights on and off or dim the lights to your liking. Includes handheld remote, canopy-mounted receiver, wall holster and 9-volt battery. 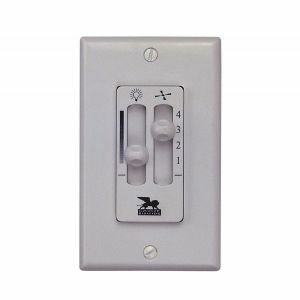 May be direct wired or wired to a standard light switch with no extra wiring needed. Can operate up to 40 feet away. 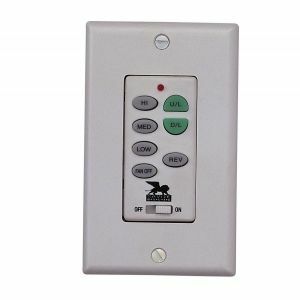 This control is compatible with WLC300. 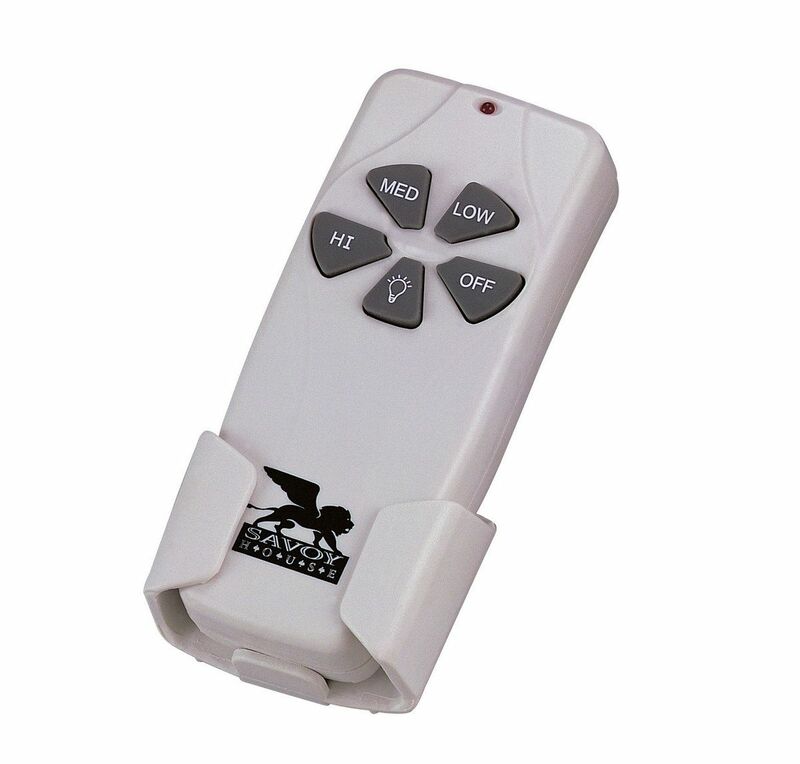 Transmitter can control multiple ceiling fans. 1-year limited warranty.